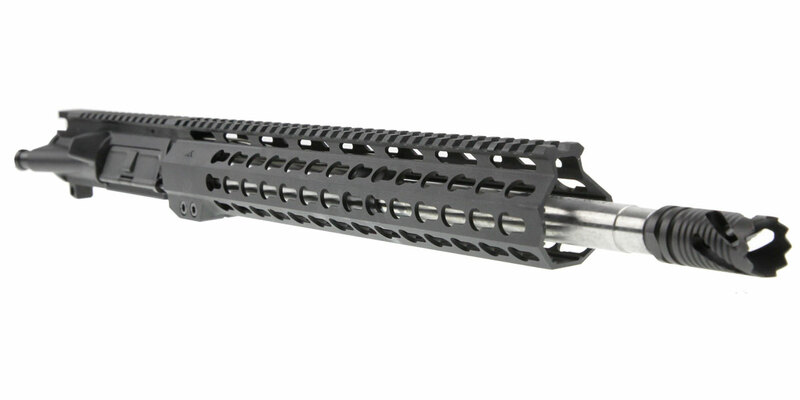 This .223 Wylde Assembled Upper Offers Amazing Stopping Power & Accuracy Which Makes It The Perfect Option For An AR Rifle. We’ve Felt That This Amazing Blend Of Attributes Made This Kit Adaptable In Its Use And Ability To Be Used Anywhere Under Every Circumstance. 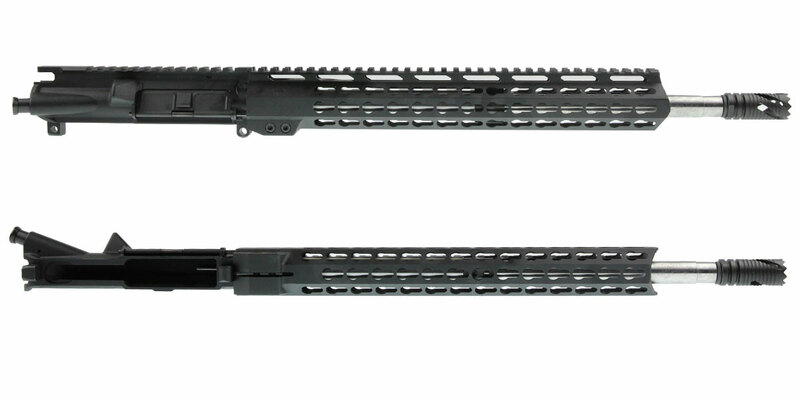 This Build Features An ELD Performance Match Grade Barrel In 223 Wylde 16" In 1:9 Twist H-Bar Profile Lapped & Honed Made From Ordnance Grade Select 416R Stainless Steel. 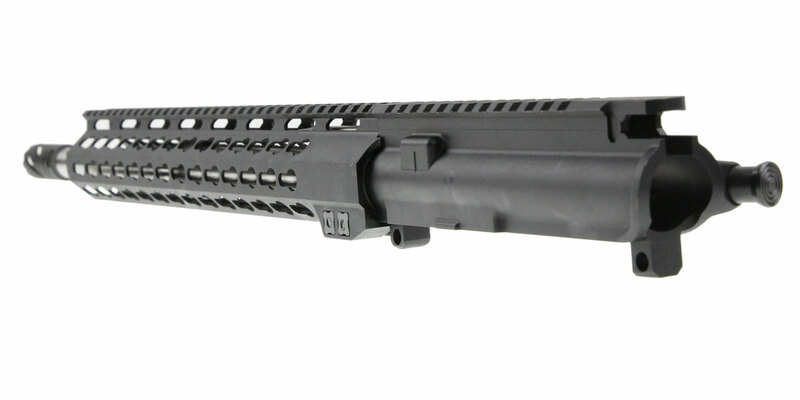 This Barrel Will Shoot Sub 1" Moa Groups. The AIM Sports 13.5” Slim KeyMod Allows You To Comfortably Grip Your Rifle With Various Shooting Positions & Securely Mount A Variety Of Accessories. Made Of Aircraft Grade 6061 T6 Aluminum. Finished In Type III Mil-Spec Type Anodized Finish. 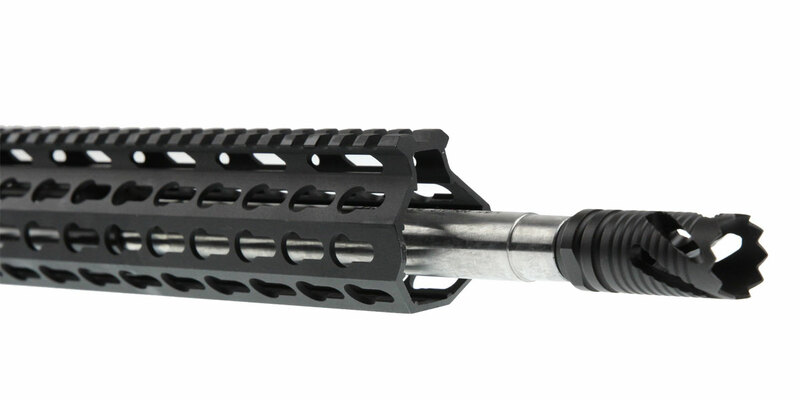 Muzzle Innovations AR-15 Royal Slant Port Muzzle Brake Will Reduce Recoil & Climb Which Will Improve Shooting And Control.